Once upon a time, a phone call and a fax were the only ways to move information around. Some of the big players had mainframes and internal networks, but the startup was certainly not connecting its New York basement and LA garage office in any automated fashion, and full-scale integrative communications tech was simply not available to every individual and business on the planet. Even corporate employees had to find a computer with a wired connection before they could check in with the office and send emails. The need to be wired (i.e., tethered) changed in the 1990s. If any readers remember the early 1990s “smartphone” tech, you know we’ve come a long way. Even the beloved BlackBerry, which so many business owners eventually forfeited begrudgingly, was a mere temporal decade but a technological century ago. 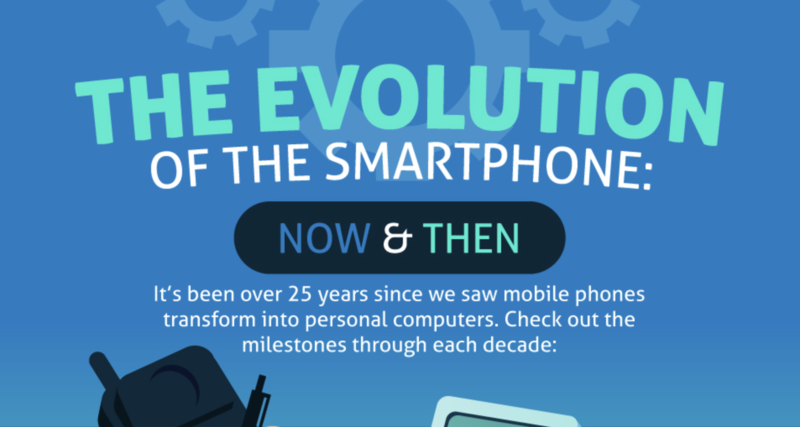 The first smartphone was commercially launched in 1994: the Simon Personal Communicator by IBM. It cost 1100 USD (which is over 1800USD in 2018), and its tech was pitiful by contemporary standards. But you could connect to email, organize your business, and make phone calls. This was all achieved in one device, and there was no wire to keep you tethered to a connection – though you could connect to a regular phone jack to get a better connection. Mobile technology improved, as did PDA tech, with BlackBerry becoming the dominant player in the 2000s. The next breakthrough was the iPhone in 2017, and we all know how tech has improved since then. Now smartphones are available around the globe, and penetration is deep: 77% of Americans use smartphones, not just any old mobile phone. Mobile has overtaken desktop computing as the go-to web device for many people around the world, and it is especially relevant in developing countries where traditional wired infrastructure may be unreliable.